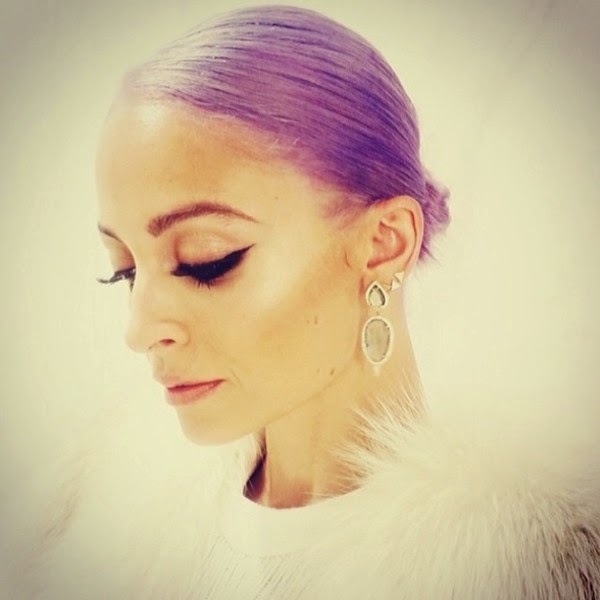 NICOLE RICHIE NEWS: Nicole Richie goes Purple! Nicole Richie did debut her new purple hair look at the post-Oscars 2014 party held by Madonna. Nicole looks stunning. The color is beautiful. Outdoors it looks like a light lavender-grey. Nicole Richie looks stunning with her new hair color.